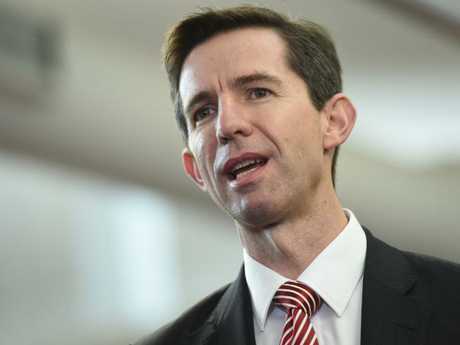 SYDNEY University has been rebuked by federal Education Minister Simon Birmingham after it was revealed law students were learning that elements of sharia law should be recognised in the mainstream legal system. Mr Birmingham yesterday said religion had no place in the law. It comes after The Daily Telegraph revealed course material said there should be recognition in Australia for elements of sharia law like polygamy and lowering the age of consent. The course material also takes aim at judges for ignoring conservative Muslim values, and police discrimination. "Equality of the law, under the law and before the law should be one of the first principles in our law schools," Mr Birmingham said. "We all operate under the one legal framework in Australia, applied consistently to all and that is not a matter for negotiation." Islamic solicitor Ghufran Alubudy - from Shine Lawyers - also spoke out yesterday to say she did not think sharia should be" recognised at all". "You cannot do this for one group and not another," Ms Alubudy said. "We have developed the legal system for many years and if we made exceptions for Islam we would need to do it for Jews, Buddhists and Christians. "Laws are not based on religion and religion is not based on laws - for me the two are very separate things." Ms Alubudy, 27, pointed out strict Muslim countries where sharia law did apply did not change their laws for other religions. "If you go to an extreme country like Saudi Arabia they force you to wear a scarf and adopt their laws," she said. "In Australia you are free to do what you want. Mr Birmingham's office also warned universities about using taxpayer funds to promote ideologies at odds with the Australian public. 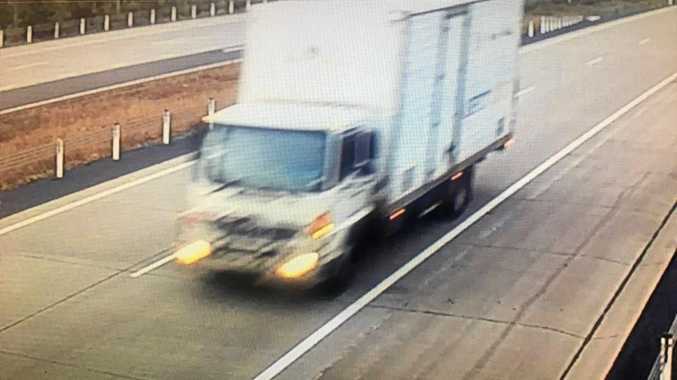 "Universities must keep in touch with Australian community expectations and that includes respect for and adherence to Australian law," a spokesman said. "Universities operate under a social licence and we rightly expect that the taxpayer funding going to those institutions is being used to deliver benefits to all Australians." The comments came after The Daily Telegraph yesterday revealed University of Sydney academics Salim Farrar and Dr Ghena Krayem were teaching law students a course called Muslim Minorities and the Law, based on a textbook they authored: Accommodating Muslims Under Common Law. Neither academic responded to calls for comment, but their book claims "sharia and common law are not inherently incompatible" and that the failure of police to accommodate Islamic religious identity was hampering the fight against Islamist terrorism. The text also takes aim at judges for denouncing "conservative Muslim values" during sentencing. And it calls for research into whether polygamy should be formally recognised in Australia because "anecdotal evidence suggests that this is an increasing practice in Muslim communities". Addressing Islamic family law, the authors write that a man has the "exclusive" right to divorce his wife and states that sharia does not recognise minimum age in marriage: "There is no minimum age for a contract of marriage, but it should not be consummated if that would cause harm to the putative spouse." 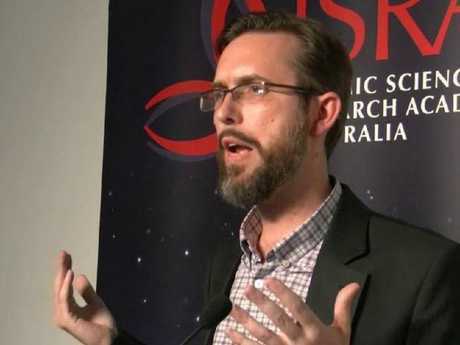 A University of Sydney spokesman said a subject introducing students to Islamic law formed part of "numerous law degrees throughout Australia" and was common in major international universities such as Harvard in the US, and the UK's Warwick and University of London. "Introduction to Islamic law is an optional course that provides a basic understanding of the sources of Islamic law and its interpretation," he said. "Enrolled students also gain a valuable understanding of Islamic banking and finance law and practice in many major Islamic countries. "These nations are important to the global economy and many of them are vital trading partners for Australian businesses. "Students can choose this course from more than 50 optional courses at the University of Sydney Law School." The Australian Federation of Islamic Councils spokesman Ali Kadri said sharia was often "misunderstood", but there was no need to change Australians laws to accommodate it. "I think there is nothing within Australian law which stops me from following my religion as I am supposed to and I would not be compromising anything within my religion by following Australian law as it is," he said. "I don't think we need to have religious connotations with any law because we are a secular country."